Community groups come into the studio to tell us what they do. 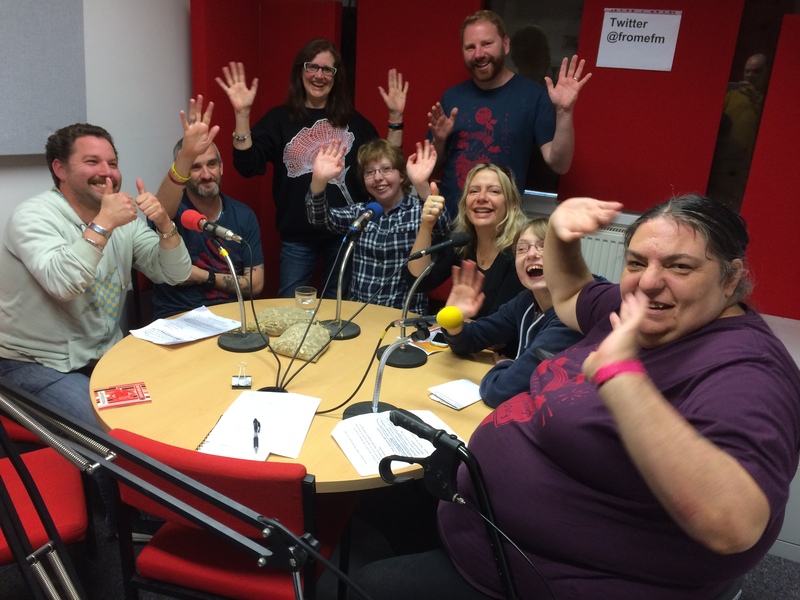 Frome charity Open Story Tellers for adults with learning difficulties came into the studio to tell us about their group. Mike, Peter, Mags, Charlotte, Ben, Charlotte, Katie and Tracy all squeezed round the table in the FromeFM studio to chat about Open Story Tellers and how the group helps with life skills such as job interviews, communication skills and health & safety. How are Dementia Action Alliance helping to make Frome a dementia friendly town? Hints and tips for people living with dementia?